A plan that’s been in the making for years has finally been put into motion – consolidating four of Kingsport’s government buildings into one. The Board of Mayor and Alderman voted to purchase the current Regions Bank building, located on Broad Street, to become the new space for residents to take care of all their city needs. The city purchased the Regions Bank building for $2.82 million to support operational effectiveness, better serve Kingsport residents and help provide more secured courtrooms for the city. The city had an opportunity to consolidate city services and improve efficiency as well as the overall customer service experience and it followed through. Long term, this is a financial savings to the city. Better security, modernization and more support offices will happen in the estimated $2.3 million expanding and renovating of the current Justice Center. Better and more modern courtrooms have been a need for quite some time. The city will consolidate the courtrooms to be only in the Justice Center. By having most departments, such as customer service, building, procurement, in one location, it creates an improved customer interaction for residents, eliminating the need to travel to multiple city buildings within the city. Working with community partners Regions Bank and local architectural firms, the city is working to improve service to citizens. This is a top priority and what continues to drive decisions. The current city hall building isn’t ADA accessible and in need of repair. The estimated cost to fix the building and bring it up to ADA standards is over $3.1 million. By combining the four current city buildings and over 100 city employees into one, not only does it allow for better efficiency, but also allows the city to put those buildings back on the tax roll for private use. Renovations to Regions Bank will start very soon, with floors 3 through 6 completed first. Renovations to the Justice Center to increase courtroom space and provide offices will begin in the fall. Public parking is available at and around the Regions Bank building. On Clay & New Street, there are over 70 spaces. At the Kingsport Library, there are over 50 spaces. At 5 Points, there are over 75 spaces and at Regions Bank, there are over 75 spaces reserved just for customers. Between these four parking locations within close proximity to Regions Bank, customers and employees have over 270 parking spots. 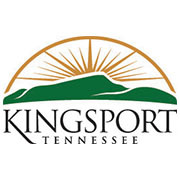 The departments that interact most with Kingsport residents will be located on the first and second floor. Customer service and the building department are on the first floor and and city manager, administration and development services on the second. Kingsport hopes to have the move complete by summer of 2020. “We want city hall to remain at the heart of the city and I think this move will continue that,” said McReynolds.